WITHOUT posting, liking, and commenting each and every day. Learn how my client, Michelle, used Pinterest to bring NEW life to her old content. 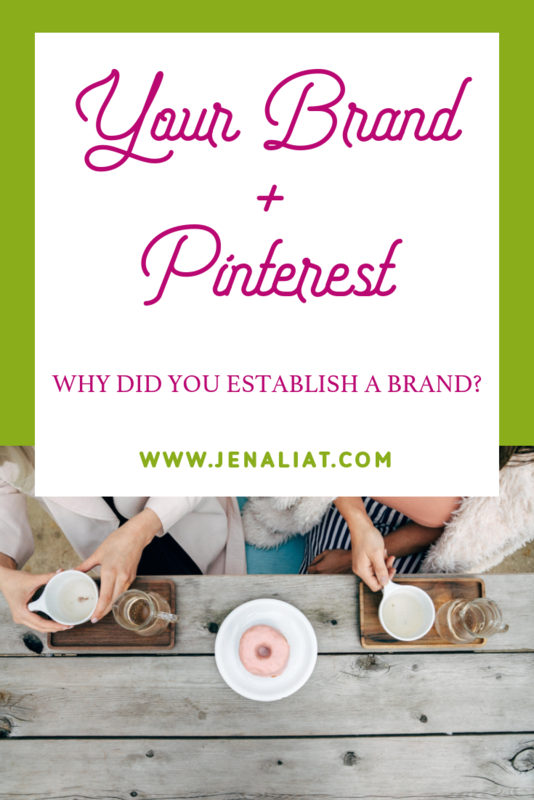 She is growing her community and email list DAILY with leads coming in from Pinterest. Previously she had tried to go it on her own and was just not seeing any results. After about 6 months of working together, Michelle ALSO had a HUGE jump in her Google ranking because of the Pinterest activity on her website! Check out the video to hear more about how Pinterest can help you grow your business with ease! Your audience needs to hear you, you have an amazing message to share. But if you REALLY want to serve them and serve them really well, you have to meet them where THEY ARE. They have the desire to change and you can help them. But you have to make it about THEM. Meet them in their mess, right now. If you are already feeling pulled in 100 directions I am SURE I just lost you. That blog post you wrote 6 months about finding peace in managing your business and home - someone needs to read that TODAY as they are struggling. But right now you are talking about creating content in bulk to free up more time. That person who needs you can’t imagine creating content in bulk, although it would help SO much, because she’s barely keeping her head above water and needs to hear that she CAN make it through this season. You KNOW what your audience needs, you’ve already written it or made a video about it. But it sitting there not being found is not serving your audience at all. It’s not about doing more, it’s about ALLOWING people to find YOU to help meet their needs RIGHT NOW. The GREATEST gift ever was the one that met us where we were, covered in sin and shame on this earth. God sent His ONLY son to us. You can meet your audience where THEY are and serve their current needs with your content. Doing this you will serve MORE people better and naturally grow your business. If you are ready to take all that content and make it new again, where your audience can FIND it and you can meet them where they are - without adding anything to your to do list, let’s chat. Schedule a free consult call using the button below. Why Did you Establish a Brand? Branding your business (or yourself as your business) is an important step in establishing your business. You create (or hire someone) a beautiful website. You have beautiful graphics created to pull everything together - maybe even have a fun branded photo shoot. Going deeper, you develop what your business stands for and maybe even against. You create content to backup your brand and let people get to know you and what you are all about. You use the graphics and some content to post in Facebook groups? Which you have to recreate every 45 minutes to continue being seen. Set up an ad to grow your email list? Which is competing with the other 5,000+++++ ads everyone is exposed to daily. What is there was a better way? A way to immerse your ideal client in YOUR brand instead of fighting for a moment in their busy and distracted social media feed? You need to get them on YOUR website so they can learn more about YOU. That is exactly what Pinterest will do FOR you. Highly automated and no ad spend. Getting your content on a platform where it lasts for months, even years. Where your ideal client is already searching. They are searching, you just need to show up. Be sure to check out the video for some quick branding tips for Pinterest! Life happens. But you don’t have to float along with whatever comes your way and let life become an excuse. This summer we relocated when my husband changed jobs, about 45 minutes from our hometown. So not far, but moving a family of 4 and a dog is no joke. The move went well, thankfully, but the remodel has been another story. We hired someone to put in our new tile floors hoping to get the project done a lot quicker than having my husband do it after work and on weekend, but this guy was a fraud and destroyed out floors and house in the process, that’s a story for another day. We dealt with these flooring issues from mid September until NOW, two months. All the while I have been working from home in the chaos with the 3 year old in tow three days a week since her new school is only 2 days a week from 9-12. A BIG change from 5 days a week from 9-1! But I’ve enjoyed having this time with her and embraced the chaos as much as possible. After a busy season, as in all of the summer and almost all of this fall, I wanted to share with you 6 things I learned that have helped me grow my business while surrounded by chaos. Being clear on your goals keeps your focused on business building activities instead of scrolling and numbing out. This will keep you motivated. Remember WHY you do what you do. HOW you serve and help others. If you are feeling overwhelmed you might need to reevaluate your offerings to fit your life better, working with less 1:1 and have a group program or passive income stream. You can also raise your prices to allow yourself to meet your goals with less clients. Never feel like you have to do it alone, you can’t! Don’t fall into this trap and burn out because you don’t seek out help. Start small and where you can relinquish control. Ask family to help with the kids one day a week, or look into part time care. Hire help with the house or with tasks in your business. Planning ahead lets you rest more and not pile on more stress when something comes up. Staying consistent in your business is so important, so when life is hectic and you are struggling to show up you will then have MORE stress with being worried about your business. Plan ahead and schedule as much as possible. Much like number 3 above, not trying to do it all on your own, leaning on God to help you make it through this season is super important. He will find a way for you and He will supply you with the strength to carry on. Read the word, make it a priority. Fill your cup so you don’t run dry. Pray before you speak or act. When God does prompt you, do what he says immediately, even if you think it is crazy with everything you have going on right now. Staying up late to get everything done every night will lead you down the path to burnout and exhaustion. You being ill and irritable in an already hectic season will only add more stress to the situation. Be sure you are caring for yourself, drinking enough water and eating a little better will help fuel you. Getting enough sleep and managing stress will also help you make it through hectic seasons. It is tempting to throw all self care out the window and hustle, but you won’t be able to fully serve if you are pushing too hard. Take time to enjoy life, even in the chaos that might be this season for you. These were the biggest lessons I learned during this hectic season! The goal of marketing is to increase sales. As an online entrepreneur, your website needs to have traffic to convert to leads and sales. Check out the video training to learn how to get MORE website traffic with EASE!